We’d love your help. 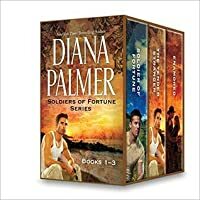 Let us know what’s wrong with this preview of Soldiers of Fortune by Diana Palmer. 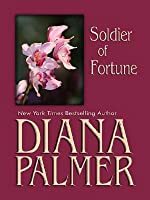 Soldiers Of Fortune by Diana Palmer released on Mar 24, 2000 is available now for purchase. To ask other readers questions about Soldiers of Fortune, please sign up. I loved it! Great chemistry, adorable characters! Another classic, but average Diana Palmer book. The introduction to Soldiers of Fortune, a mercenary group- Gabby has been assistant to JD, a criminal lawyer for two years. She's taken night courses, and now become a paralegal. When JDs sister is kidnapped, he contacts his old team and takes Gabby along the mission of rescue. As they pretend to be lovers, sparks ignite. I enjoyed reading about the members and their group dynamics. My BIGGEST issue is the scene that takes place midway, when JD is "rou Another classic, but average Diana Palmer book. My BIGGEST issue is the scene that takes place midway, when JD is "rough" with Gabby just to prove he doesn't feel anything for her. After that almost assault, there IS a lot of remorse and he does try to apologize, and though I'm used to DP heroes being mean, this was just cruel. Anyways, as the love goes she forgives him easily and then HEA. Even though there are some parts that made me cringed and somehow the banter between Jacob and Gabby's a bit strange, I still loved it. I loved angst and that's why I quite enjoyed the 'minor hot stuff'. Adorable. A great book and a great read. I really enjoyed this book and will recommend it to my friends also. This story brought to mind the space soldiers of old. Wrongly accused, do the right thing, even if it costs you everything type of heroes. I enjoyed the backstory as well as how it all fit together into the new. I found the characters fully developed and their emotions and responses to be justified. I also liked that the solutions were never outlandish luck. They were well thought out to fit the scenarios. I'm a sucker for a good guy gone bad but secretly mushy inside and this was executed very This story brought to mind the space soldiers of old. Wrongly accused, do the right thing, even if it costs you everything type of heroes. I enjoyed the backstory as well as how it all fit together into the new. I found the characters fully developed and their emotions and responses to be justified. I also liked that the solutions were never outlandish luck. They were well thought out to fit the scenarios. I'm a sucker for a good guy gone bad but secretly mushy inside and this was executed very well. Jacob Dane Brettman is my favorite lawyer/mercenary ever and his paralegal/love interest, Gabby is adorable. Long story short, both are interested, but never act on it. His sister is kidnapped and all is changed. Diana Palmer writes in the fabulous ways of old harlequins. The male is super alpha and can be a perfect gentleman or a complete jerk. JD is both, but love finds a way to fix it. It was my second reading of this book, I really like it. The story was very good. It was full of action and adventure and a few close calls. I look forward to the next book. Wasn't all that impressed with it. I saw quite a few high ratings of this book so I guess I had high expectations. It was an okay read. Definitely not one of my favourites from this author. Let me preface by saying I do not like short stories and I don’t particularly like Harlequin romances. I read this book because my husband, who tends to get to the books before I do, told me that the stories were interconnected and he enjoyed it. So, I began reading Soldiers of Fortune. The book begins with the story of J.D. Brettman, a retired mercenary. We meet J.D. and his fellow mercenaries, Dutch, Diego, Apollo, Semson and First Shirt. The second book deals with Dutch, and the third with Diego. Of course, as the book progresses, we meet their women, Gabby, Dani, Melissa and Joyce. Basically, the plot is about how the women get these confirmed, adventure loving macho men to get married. The story of J.D. Brettman aka Archer bored me. The characters were not at all believable, especially in this day and age. But, I trekked on through the book. The story of Dutch and Dani I enjoyed. The characters were much more believable than the characters in J.D.’s story. However, like all Harlequin romances, you know what the ending is going to be, and I don’t enjoy that. I like to be kept guessing to the end. Worst of all for me, was trudging through Diego’s story, which is intertwined with Apolo’s story…kind of…I don’t know why I couldn’t get into Diego’s story and I kept on wishing that the author, Diana Palmer, had written more about Apolo and First Shirt. She barely mentions Semson. So, I think she should have written separate books for them as well. I would not recommend this book to anyone unless they are Harlequin romance lovers. Este romance com certeza é um dos meus prediletos, li as duas versões, sem duvida alguma a da Harlequin e milhões de vezes melhor, na realidade não há como comparar. Acho J.D. uns dos personagens mais interessantes da Diana Palmer, ele consegue esconder seus sentimentos e tem um controle sobre si mesmo impressionante. Até quando faz algo desagradável tem objetivo concreto, faz de caso pensado, para afastar Gabby, para que ela não tenha ilusões sobre seu lado “perigoso”. Só que o bonitão pensou que Gabby iria desistir de ter algum envolvimento afetivo, mas continuaria a trabalhar para ele, quando ela resolve simplesmente deixá-lo, para sempre, e se fosse o caso até mudar de cidade. Ele percebe o que está perdendo e que os sentimentos que tem por ela são mais profundos do que imaginava. E que sobreviver sem ela, seria impossível. I dunno why but this story is quite special for me. Eric van Meer was a special character. Probably because from the reference of him from the first story, he was introduced as a man who hated women, and marriage even more. But one look at bespectacled Danielle St Clair did him in to the point of offering marriage if that was the only way to have her. But then Dani found out what he did for a living and refused to live that kind of life, especially when he was leaving for a mission after their s I dunno why but this story is quite special for me. Eric van Meer was a special character. Probably because from the reference of him from the first story, he was introduced as a man who hated women, and marriage even more. But one look at bespectacled Danielle St Clair did him in to the point of offering marriage if that was the only way to have her. But then Dani found out what he did for a living and refused to live that kind of life, especially when he was leaving for a mission after their short idyll. And when he came to find her a few months later with the hope of saving their marriage, he found her pregnant with his child--and memories of the past came rushing back to him. What he had become was shaped by a woman who had left him for a richer man and that was after she aborted his child. And only when he learned that Dani almost had a miscarriage did he realize that her life was the most important thing for him--not the baby and not even his job. The reaction of his fellow ex-mercs to the news of this (supposed) womanhater's marriage and impending fatherhood made for a fun read. I will say that I read this book every month when I find the time. All three are amazing, but my favorites are Soldier of Fortune and The Tender Stranger, especially Tender Stranger with Dutch and Dani. I mean, I have nothing against Enamored, but it paled in comparison to the other two. Soldier of Fortune was exciting, and at times edge of the seat. Loved the rescue attempt, and the way the heroine fought to protect her boss, aka the man she loved. I loved the turn around when he realized how mu I will say that I read this book every month when I find the time. All three are amazing, but my favorites are Soldier of Fortune and The Tender Stranger, especially Tender Stranger with Dutch and Dani. I mean, I have nothing against Enamored, but it paled in comparison to the other two. Soldier of Fortune was exciting, and at times edge of the seat. Loved the rescue attempt, and the way the heroine fought to protect her boss, aka the man she loved. I loved the turn around when he realized how much he hurt her, despite how much he loved her, and worked to gain her trust once again. The Tender Stranger is my favorite of the three. Mainly because I can relate to Dani, as I work around books everyday, and feel like her. I wish I had her adventure, meeting a stranger on the plane, and finding out that he's the man of your dreams with a bad past. Dutch's reaction to Dani is one for the books, and the way he finally realizes that what he wants is a different kind of adventure. In the end, it leaves you to question who is the tender stranger. The man who displays tender passion for the dowdy bookstore owner, or the woman who loves him tenderly. large print from library is easy to read. J.D. (Jacob) 36?, lawyer and Gabby 23?, legal secretary. J.D. used to be in special forces and been a mercenary. When his sister was kidnapped in Italy, he goes to rescue her with Gabby, to Guatemala. He was falling for Gabby, but after she shot a guerilla who was aiming at J.D., he doesn't talk to her, and tried to scare her off physically, and told her not to have any hopes with him. She wants to leave the job but is obligated to put in 2 weeks. During large print from library is easy to read. J.D. (Jacob) 36?, lawyer and Gabby 23?, legal secretary. J.D. used to be in special forces and been a mercenary. When his sister was kidnapped in Italy, he goes to rescue her with Gabby, to Guatemala. He was falling for Gabby, but after she shot a guerilla who was aiming at J.D., he doesn't talk to her, and tried to scare her off physically, and told her not to have any hopes with him. She wants to leave the job but is obligated to put in 2 weeks. During the 2 weeks, J.D. tried to approach her but she kept avoiding him. He showed up at her apartment on a Saturday and asked her for a date. They went out and had lunch. The next day they went to her church together, and he arranged for a wedding with a minister. J.D. told Gabby that he does not want the life of mercenary any more and he only wanted to be with her and have kids. They got married in a week. No detailed hot scenes, just kisses and touches. The man was Diana Palmer typical jerk hero. These stories are dated, but do have many of the elements that make the author a favorite with her fans. What I have never liked about Palmer's heroes is evident in each of these tales... each is so self-protective that they shred the heroine's heart to bits and cause her to suffer before they begin to relax and admit that they love. The volume contains two books originally published in 1985 and a third in 1988, and romance writers have come a long way since then, thank goodness. Still, those who These stories are dated, but do have many of the elements that make the author a favorite with her fans. What I have never liked about Palmer's heroes is evident in each of these tales... each is so self-protective that they shred the heroine's heart to bits and cause her to suffer before they begin to relax and admit that they love. I know these books are kinda old, I've just read the first story (I plan to read the other ones lol) but in my opinion, the development of the story felt rush and I couldn't believe even if I wanted to, that the protagonists were in love. I don't know, for me they didn't have a lot of chemestry, their scenes together were boring and the part were he almost sexually assaulted her made me want to killed him. I don't care if the apologized to her for acting like a jerk, but if Gaby was my friend ir I know these books are kinda old, I've just read the first story (I plan to read the other ones lol) but in my opinion, the development of the story felt rush and I couldn't believe even if I wanted to, that the protagonists were in love. I don't know, for me they didn't have a lot of chemestry, their scenes together were boring and the part were he almost sexually assaulted her made me want to killed him. I don't care if the apologized to her for acting like a jerk, but if Gaby was my friend irl I will tell her to run away of that violent idiot. I tried reading the rest of the series, but somewhere around #3, I got bored/annoyed...it wasn't as exciting or interesting. I thought the virgin women were tstl! and the fact that the men thought the women couldn't handle the men because of their job was annoying to me. there would be more action and suspense. Diana Palmer is a good writer but she is not my favorite. Reading this book reminded my why I quit reading books that included a virginal female lead character. Yes, this book was written in 1985 and probably was written according to a plot formula. Thankfully Diana Palmer's writing skill has been allowed to blossom. 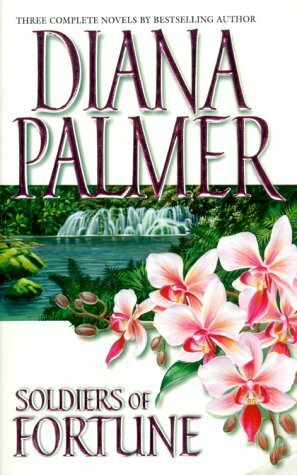 In 2005-2007 I read so many of Diana Palmer's books. My ex's mom had a lot and that got me hooked. She is an excellent author and I just enjoyed them. Especially the rancher, texas, farmer themes plots and stuff.